This terrific home is just 7 miles to Duke and 7 miles to UNC. Inside is updated and very tasteful. There are two bedrooms, a living room, a family room and an office. Additionally there is a large eat in kitchen and two baths. It’s hard to believe that we’re at April already. According to REALTOR.org March 20, 2014 home prices continue to show solid growth but nationally home sales continue to lag edging down .04 percent in February. The REALTORS, blame weather. I’m not too sure about that. Michael blames a still soft employment market and ok, the weather too. 2292 closed sales, 3 bedrooms, 2.5 baths, 2177 square feet, $235,718 list price, $229,673 sale price, 105 days on market. 2214 closed sales, 3 bedrooms, 2.5 baths, 2153 square feet, $245,641 list price, $240,168 sale price, 90 days on market. We’re promoting our Team Michael Sullivan Facebook page, if you like it by May 1, 2014 we’ll enter you into a drawing for a $500 Home Depot gift card. Good news is you don’t have to live in the RTP region to be in the drawing. This townhouse does NOT back up to Old Chapel Hill Rd. and has amazing views of the woods behind. The rear walls of this home are virtually all glass inviting outdoors inside. 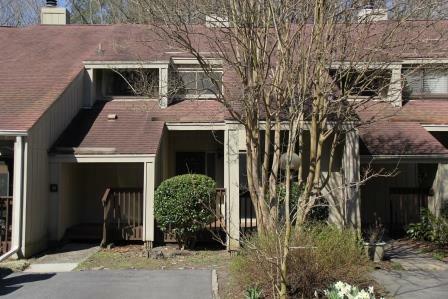 4100 Five Oaks Dr. #31 has been beautifully updated. There are hardwoods and laminate floors on both the first and the second floors. The kitchen has been updated with newer appliances, white cabinets and the pass through window to the dining room has been enlarged. In many of the rooms you’ll find new lighting fixtures and fresh paint. The heating and cooling systems have been updated too. Expansive decking and porches at the front and rear of the home add abundant exterior living space. 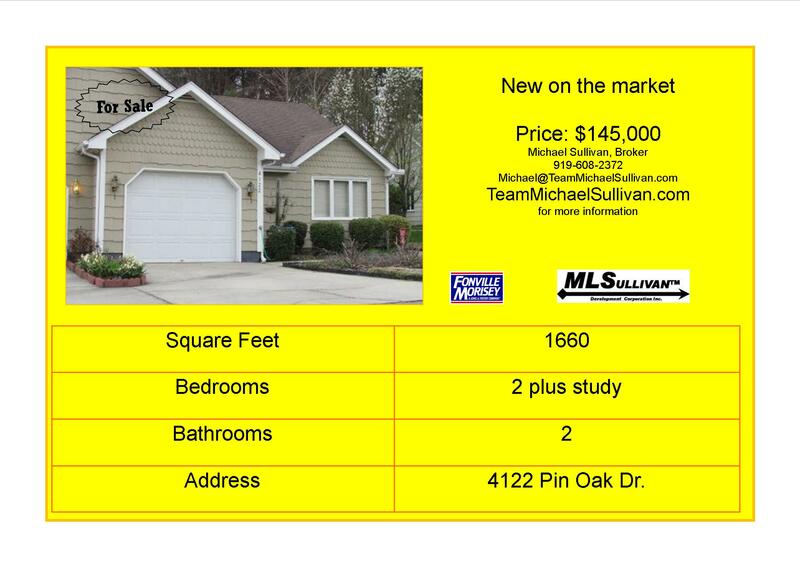 This home is also a short walk to the Five Oaks Club, the lake and to shopping. Here you’ll find 2 bedrooms, 2.5 baths, office, living room, dining room, kitchen, breakfast room and lots of storage.